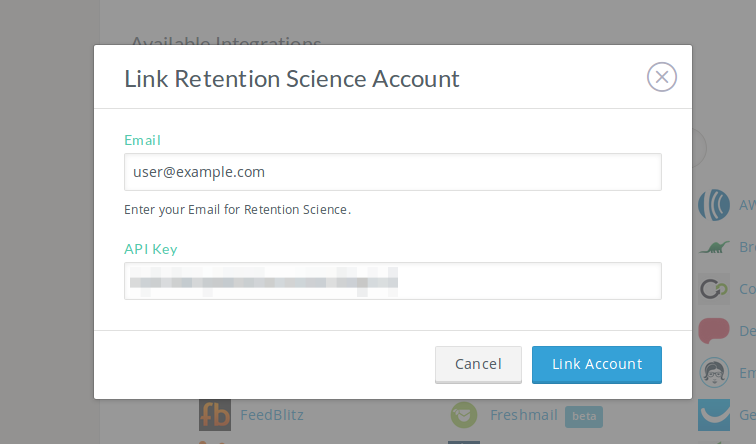 Privy can automatically sync contacts over to your Retention Science account if you are on a Growth or Enterprise plan. To set this up: Click on the dropdown arrow on the upper right corner of your Privy account screen. Signups to this Privy campaign will now automatically sync to your Retention Science account. 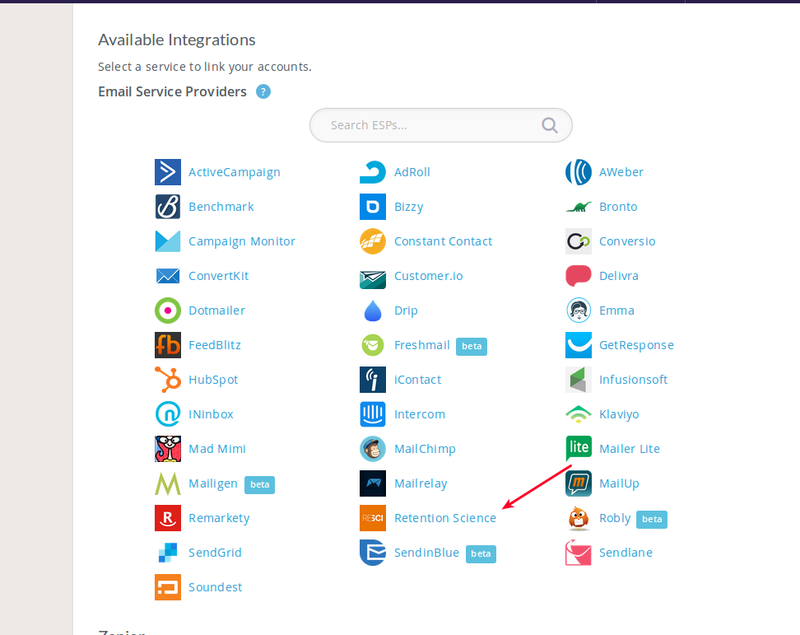 Retention Science is available on accounts that have access to enterprise integrations. Contact your account manager to learn more. Privy can sync the following fields to Retention Science: address1, address2, city, state, zip, country, phone, birth_year, gender, birthday. Your field name in Privy must exactly match the corresponding field name in Retention Science . Privy uses the lowercase md5 of the contact's email address as the user's record ID.